There is a ton of avalanche safety and education information available. So much so that it can be a little overwhelming. This page is meant as a resource for you (the backcountry traveler) to access a lot of valuable avalanche information in one place. Note that none of the information provided should be used as a substitute for taking an actual avalanche education course. 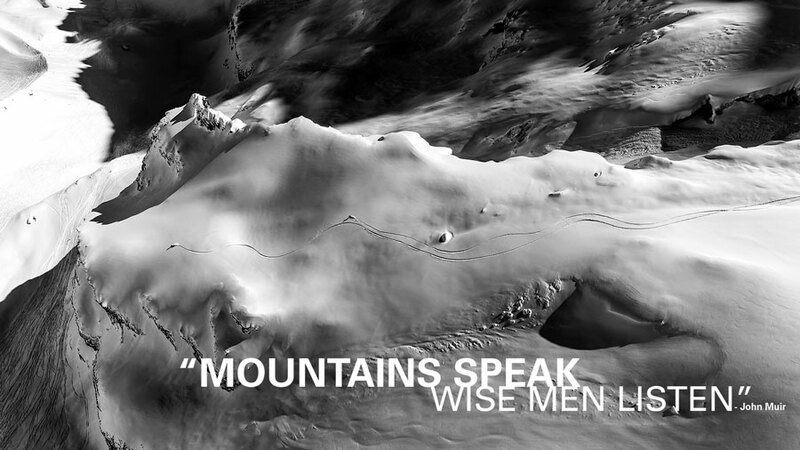 Please remember, avalanche education is not a one-stop-shop, it is a lifelong endeavor. Don't forget to support your local avalanche center! Does what you see on the ground match the forecast? Is anyone outside their comfort zone? Is the group discussing options and concerns? Observing natural avalanches (non-human triggered) in the backcountry is an immediate sign of slope instability. Extreme caution should be taken if there are signs of recent avalanche activity on slopes with a similar aspect or elevation that you are looking to ride. 90% of avalanches happen within 24 hours of a storm cycle. It is very difficult to predict how a newly formed slab will react to a trigger. An extremely conservative approach should be taken during and immediately following a storm. When a layer in a slab collapses it can create a whomfing noise - this is the air compressing out of a weak layer. From the National Avalanche Center, "This is the sound of nature screaming in your ear that the snowpack is very unstable". Cracks are sometimes seen shooting through the snow away from a skin track or the path you are making while riding down a slope. This is another sign of unstable snow. Anytime there is a rapid change in temperature the snowpack can become unstable. This is a more frequent occurrence during the spring, but can happen anytime during the winter. Snow is easily transported by the wind and when it is deposited it can form wind slabs. These slabs add weight to a snowpack and can make it easier to cause a weak layer in the snow to fail. Pay close attention to wind direction, especially where it is coming off of ridges.